RAC7 have come up with a unique puzzler that lets players slice up and shift the environment, rather than control the characters, to solve the levels and get the critters to their ship. 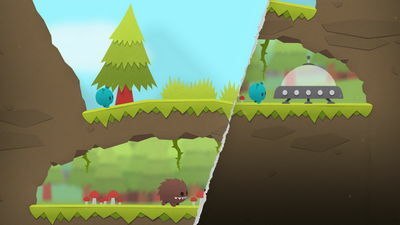 Splitter Critters, which just came out, is played by trying to create safe pathways for little cute blue aliens to reach their UFO and go home. You achieve that by splitting the world or stage into chuncks, then sliding it to rearrange it and make safe passage for our little friends to reach their spaceship. The critters can walk, jump down (not up), float and swim, but be wary of the evil big brown hairy monsters and other dangerous obstacles. 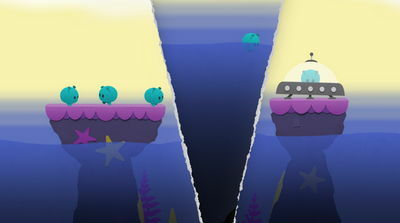 Other features of Splitter Critters include challenging puzzles to play through, immersive music that changes with each level, and unique gameplay mechanics.